Juniper Networks has bought intrusion deception system specialist Mykonos Software for $80m (£51m) in a bid to beef up its network security practice. 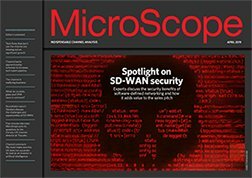 Mykonos claims its deception-based technology is unique in that it can detect an attacker before an attack is in progress through profiling previously identified behaviour patterns. Unlike other contemporary web security appliances or web app firewalls, Mykonos provides device-level tracking beyond IP address tracking that allows for attackers to be uniquely idetified, monitored and blocked. Its software practice will become a key component of Juniper's plans to deliver a secure environment encompassing devices, applications, networks and clouds, said Juniper security business unit manager and senior vice president, Nawaf Bitar. Mykonos chairman and CEO David Koref added: "The combination of [our] technology and Juniper's proven expertise in delivering innovative security products at the largest scale, will enable us to provide solutions to immediate and pressing security threats for the largest enterprises and public sector organisations."